No Man's Land Day 87-391—Jim Gordon and Bruce Wayne face the chaos Gotham City has become. Their mission to keep the city safe becomes more complicated as the villains who survived the attack on the city begin to resurface and claim various territories. Selina Kyle grapples with how to deal with her uncertain future. Gordon and Bullock investigate a location where several kids have been kidnapped. Barbara proves to be an unlikely ally to Gordon. Bruce looks into an alleged witch with healing powers for Selina. Nygma deals with demons of his own. With the creation of Haven as a safe place for refugees, Gordon hopes to stop the gang fighting in Gotham. Selina is determined to find Jeremiah and she convinces Bruce to help her. Penguin goes to Haven to reclaim his staff. Gordon and Penguin are forced to work together and alliances are shaken when Lucius, Nygma and Barbara all have different ideas of the culprit behind recent events at Haven. Selina continues her quest for revenge against Jeremiah. A military task force, led by Eduardo Dorrance is called in to provide relief to Gotham. Meanwhile, Nygma looks for answers from Penguin, who leads him back to Hugo Strange. Then, Bruce is concerned about Selina's recent behavior. Gordon assembles an unlikely team to protect Gotham from Eduardo Dorrance and his Delta Force. Just as Lee Thompkins resurfaces, Barbara reveals shocking news that will change Gordon's life forever. Meanwhile, Selina and Penguin team up to outsmart fellow villain Magpie. Gordon races to uncover the criminal element threatening to end talks of Gotham's reunification with the mainland. A very much alive Jeremiah returns and organizes a twisted recreation of the murder of Bruce's parents with the help of Jervis Tetch aka Mad Hatter. On the precipice of Gotham's reunification, Gordon and Bruce find themselves face-to-face with a newly transformed Eduardo, and discover the real mastermind behind the city's current chaos. Meanwhile, a pregnant Barbara turns to Lee for help. Episodes 11 : Legend of Dark Knight: They Did What? The series flash-forwards 10 years into the future, as Bruce is set to return to Gotham for the opening of the new Wayne Tower. A series of crimes leads Gordon to believe Penguin and The Riddler are up to their old tricks. However, when Bullock is framed for a murder, Gordon begins to piece together an even more sinister plot targeting the city, and a new figure emerges from the shadows to be the hero Gotham desperately needs. Bullock's past comes back to haunt him when he and Gordon investigate two murders at Sirens. Meanwhile, Bruce and Alfred explore the tunnels beneath the city, and Penguin and Nygma's plans to escape are thwarted by the least likely of suspects. Gordon fears Jonathan Crane is still alive and back in Gotham, when The Scarecrow's signature MO is used in a series of robberies. Meanwhile, Penguin's "licensing" of crime in the city backfires during the grand opening of his new Iceberg Lounge. Also, in the aftermath of his encounter with Ra's Al Ghul, Bruce begins his vigilante watch. Under pressure to prove that the GCPD is still powerful, Gordon attempts to bring in Jonathan Crane. However, Gordon puts himself in a dangerous situation at Arkham when he is forced to fight off lunatics and the demon within himself. Meanwhile, with Barbara's unexpected return, Selina and Tabitha must consider risks that come with joining her in the weapon business. Gordon takes matters into his own hands when he travels to Miami in attempts to persuade Carmine Falcone for his help in the fight against Penguin. There, he meets Carmine's daughter, Sofia, who unexpectedly follows Gordon back to Gotham. The battle for Penguin's prized weaponry continues during auction night at the Iceberg Lounge and Bruce's presence puts him on Penguin's radar. 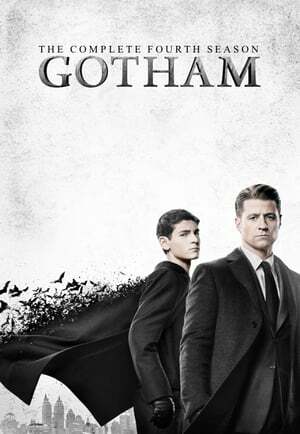 Bruce Wayne puts the lives of Gotham Natural History Museum historian Niles Winthrop and his grandson, Alex, in danger in an attempt to uncover the meaning behind his prized knife from the auction. Meanwhile, Ra's Al Ghul proves he'll take deadly measures to achieve what he wants. Also, with Sofia Falcone in town, she is on a mission to win back Gotham from Penguin. Nygma comes face-to-face with Butch Gilzean, but he is not who he used to be. In an attempt to regain power and identity, Nygma decides to put his former partner's skills to the test. Meanwhile, Sofia Falcone takes action to protect her own life by appealing to Penguin's vulnerable side. With the power of the dagger in his possession, Bruce surprises those around him with his bold actions. Gordon and Bullock are hot on a serial killer who has been assassinating cops and dressing his victims in the severed heads of pigs as his signature mark. Meanwhile, Sofia tries to win over Penguin, and Thompkins, Nygma and Grundy find themselves an unlikely home at Cherry's place. Professor Pyg continues to torment Gotham city, involving Jim Gordon whenever possible. Sofia and Penguin get ready for a fundraiser for the orphanage, and things don't go as planned when Professor Pyg shows up as the chef. Meanwhile, Bruce's partying gets in the way of his relationship with Alfred. Gordon tries to broker a deal with Penguin that involves Sofia. Meanwhile, Alfred tries to pull Bruce out of his teenage-angst and downward spiral, as Lee Thompkins gains more control over the Narrows. Things get complicated for Gordon, Sophia and Penguin when Carmine Falcone comes to town. Alfred tries to get through to Bruce once and for all, while Nygma struggles to gain control over The Riddler persona and Tabitha attempts to make Grundy remember his past. Gordon is called to the scene after The Toy Maker is hired to assassinate one of Gotham's doctors. Lee Thompkins begins to try to rebuild the Narrows, with Nygma as her partner. Meanwhile, Alfred's new life in the Narrows becomes quite complicated. Ivy reveals her new persona to Selina, with some sinister plans in mind. Ivy tracks a secret project on which Wayne Enterprises is working and begins to target anyone that can give her information. Meanwhile, Jerome becomes obsessed with Penguin in Arkham. Also, Gordon begins to second guess his deal with Sofia and an unsettling dream sequence shakes up Bruce. Bullock and Gordon try to track down someone who is key in Sofia's control over Gotham. Meanwhile, Penguin, Lee and Nygma enlist an unlikely ally as they seek revenge, and Selina asks Bruce for a favor to help rid her of her guilt over Ivy. Arkham's "finest" give Gordon and Bullock a run for their money, as they hatch a plan to escape the asylum. Meanwhile, Bruce devises his own strategy to thwart their plans. Also, Barbara gets an offer she can't refuse. Gordon and Bullock try to stay one step ahead as Jerome zeros in on his next target. Meanwhile, Nygma hosts a riddle game show in the Narrows and faces his toughest challenger in Lee Thompkins, and Penguin goes to see Butch with a proposal. The Arkham inmates are still running freely in Gotham and they're only getting more difficult to catch. Gordon develops a plan, but reluctantly has to turn to Bruce for help. Meanwhile, Barbara finds out just how far her new friends are willing to go for her. Gordon and Bullock try to figure out who the clever thief is behind the robberies of various bank branches in Gotham. Meanwhile, Barbara is put in danger, forcing Tabitha to recruit help. As Gotham falls into complete anarchy, a team of unlikely heroes step up to save it. Bullock takes the lead at the GCPD and Bruce's psychological limits are tested as those close to him are put in danger. Jeremiah warns a skeptical Gordon of more destruction coming Gotham's way, and Gordon is forced to make a potentially devastating decision. Meanwhile, Barbara rallies together a team to secure her position, as alliances in the underworld shift and prove no one can be trusted. Then, Bruce is forced to come to terms with the future. Gordon works in a monster-ridden Gotham as a bounty hunter and seeks to find answers about the Indian Hill escapees, and why their powers appear to be killing them. Meanwhile, Bruce’s doppelganger roams the streets, and Barbara and Tabitha open a new nightclub called The Sirens. Fish Mooney takes matters into her own hands to locate Hugo Strange, forcing Gordon to reluctantly team up with journalist Valerie Vale to find her. Penguin rises in popularity after criticizing the work of the GCPD and Bruce's investigation of the Court of Owls is compromised. Meanwhile, Ivy Pepper is reintroduced into Gotham city. Hypnotist Jervis Tetch/Mad Hatter arrives in Gotham to search for his sister, Alice, and hires Gordon to help find her. Meanwhile, Penguin decides to run for mayor and Bruce's doppelganger begins to channel him, causing some confusion around town. Penguin gains power as he narrows in on the nomination for Mayor of Gotham. Meanwhile, Gordon turns Alice into the GCPD for the bounty. Also, Bruce and Alfred race to find Bruce’s doppelganger after learning he’s assumed Bruce’s identity. 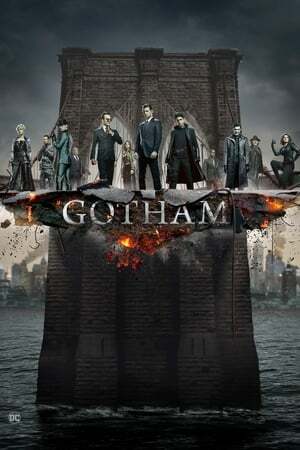 Crime in Gotham is at an all-time high, as Penguin struggles to uphold his promises to the city. Meanwhile, Butch goes down a dark path with the infamous Red Hood Gang and Bruce begins to investigate Ivy's whereabouts. Mad Hatter sets his eyes on his next victims, forcing Jim Gordon to make some tough decisions. Meanwhile, Penguin and Nygma's relationship evolves, and a familiar face comes back into Nygma's life. After coming in contact with a substance by the hand of Mad Hatter, Jim Gordon gets led on a psychedelic trip and must confront his past, present and future. Meanwhile, Penguin struggles with Nygma’s new relationship. The effects of a recent incident begin to cause Barnes to go mad; Nygma is over his head in his relationship with Isabella; Carmine Falcone throws an engagement party for Lee and Mario. Gordon and Bullock sift through evidence from the murder at Lee and Mario's engagement party; Ivy discloses her identity to Selina and Bruce. On the eve of their rehearsal dinner, a threat to Mario and Lee is exposed, and Falcone looks to Jim for help. Meanwhile, Nygma seeks revenge and Bruce learns more about The Court of Owls. As the virus begins to spread in Gotham, the laboratory that is developing a cure is compromised. Mario and Gordon face off before the wedding, Selina meets an unexpected face and Barbara comes to Nygma with information about Isabella. Falcone places a hit on Gordon after learning that he shot Mario. Gordon and Bullock discover a follower of Jerome, who plans to bring him back to life. Meanwhile, Penguin spirals out of control before the biggest television interview of his Mayoral career, and Bruce and Selina deal with Selina's mom's return to Gotham. On the run from Gordon and Bullock, Dwight tries to revive Jerome, in turn, activates his acolytes around Gotham City. Meanwhile, Selina's mom's intentions in Gotham are revealed, and the power play between Penguin and Nygma escalates as Barbara's plans are set in place. With Jerome on the loose with one target in mind, Bruce and Alfred's safety is compromised. 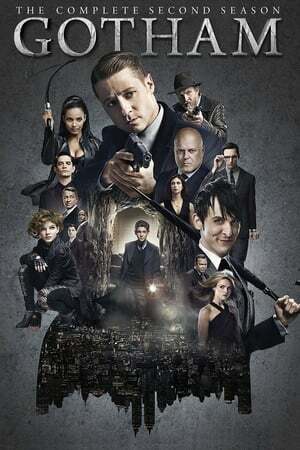 Meanwhile, Gordon's uncle Frank pays him a visit, and Nygma and Penguin are forced to confront their issues face-to-face, with possible deadly consequences. Nygma convinces himself that he doesn't need Penguin to succeed and begins to introduce himself to Gotham as "The Riddler." 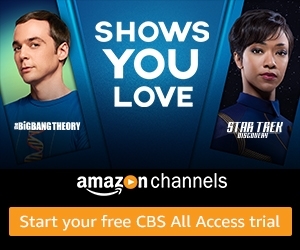 Bullock and Lucius Fox get caught up in Nygma's mind games, while Gordon learns troubling news about his father's death. Meanwhile, the Court of the Owls reveals its next move. The Court of Owls devises a new plan regarding the future of Gotham, as Gordon uncovers information about his father and uncle's past, connecting him back to the organization. Meanwhile, Bruce wakes up in the temple and learns of the Shaman's wish for him. Some of Gotham's most unhinged villains band together, while The Riddler continues his conquest of the city. Gordon is on a search for answers and all roads keep leading him back to the Court of Owls. Meanwhile, as Alfred begins to notice a change in Bruce, Bruce 2 confides in Selina. Gordon tracks down the weapon the Court of Owls intend to use for the destruction of Gotham; Kathryn and Temple Shaman tell Bruce about their next move; Ivy offers Selina help. Temple Shaman takes Bruce to the next phase of his training; Gordon and Bullock discover a crystal owl that carries the biggest secrets of Gotham's underworld; Nygma and Penguin must work together to get out of a tricky situation. Gordon races against the clock to save the city from the Alice Tetch Virus, when Lee Thompkins intercepts with a plan of her own. Also, Alfred sees a big change in Bruce Wayne after his work with The Shaman. Meanwhile, some of Gotham's most deranged villains band together. 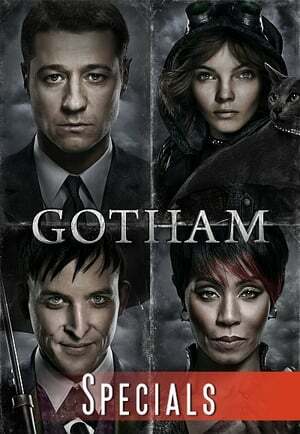 With the deadly virus spreading throughout the city, the search for the antidote continues, as Fish Mooney, The Riddler and Penguin reveal plans of their own. Bruce meets Ra's al Ghul and completes his last task in order to fulfill his destiny, but realizes he can't let go of his past. Meanwhile, Gordon tries to win back Lee, and past alliances within Gotham City are broken, while new alliances are formed. Penguin is King of Gotham and after a shakeup at the GCPD, Detective James Gordon's moral compass wavers, as he seeks help from Penguin. Meanwhile, Bruce Wayne continues to explore the secrets from his father's office, and Gotham newcomers Theo Galavan and his sister, Tabitha, make friends with some unlikely allies - a group of dangerous inmates from Arkham. On the heels of his reinstatement, Gordon is thrust onto the high-profile case tracking the deadly inmate escape from Arkham Asylum. 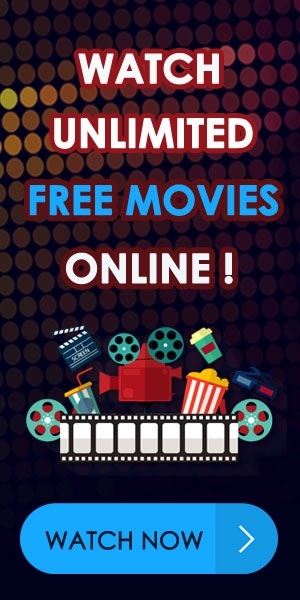 Meanwhile, Galavan plans his next move, while Bruce asks for help from his father's old friend to unlock the secrets in his office, and Nygma asks out Kristin Kringle on a date. Gordon and Bullock track down a nemesis from the past, leading to a standoff between Jerome and Gordon. Meanwhile, a magic show at the Gotham Children's Hospital gala turns into a hostage situation. Captain Barnes is called to duty to create a law-abiding task force, with the help of Gordon. Meanwhile, Penguin gets caught up in a favor for Galavan, and Nygma asks Kringle out on a date. Galavan and Penguin join forces with a dangerous family in Gotham. Then, as the rivalry between the Waynes and the Galavans resurfaces, Gordon struggles to maintain order in the city. After Bridgit Pike rejoins her brothers, a new spark of courage ignites within her, as she chooses to take control of her future. Meanwhile, Kringle and Nygma's relationship will take a new step and Penguin and Galavan continue to battle for control of Gotham City's underworld. Butch leads Penguin and his men to the warehouse where Gertrude is being held, as Penguin plots his revenge on Galavan for kidnapping his mother. Meanwhile, Nygma deals with the aftermath of a deadly accident. Galavan sends Barbara after Jim Gordon, while he tries to make a business deal with Bruce Wayne. Barnes and Bullock are hot on Barbara’s trail, and Nygma has a run-in with a familiar face. Gordon and Barnes continue cleaning up Gotham, and Gordon comes face-to-face with one of the city's most dangerous hitmen, Eduardo Flamingo. Meanwhile, Nygma and Penguin cross paths again, and Bruce pressures Galavan into handing over the name of his parents' murderer. Gordon confronts a suspect who is connected to Galavan, but falls short of obtaining any information. Meanwhile, Bruce gets one step closer to discovering the name of his parent's killer. When Bruce Wayne is kidnapped, Gordon must look to some unlikely and dangerous allies for help. It is a battle of the villains, and not everyone makes it out alive. Penguin takes a hit for Galavan's murder, but doesn't let Gordon off easily. Meanwhile, Gordon and Bullock investigate the body-snatching spree of Victor Fries, one of Gotham's preeminent cryogenics engineers. As Gordon, Bullock and Barnes continue the search for Victor Fries, they are forced to look to his wife, Nora, for help. Meanwhile, Penguin is introduced to Hugo Strange, and Alfred reveals some crucial information to Bruce about his parents' murderer. Alfred and Selina help Bruce search for his parents' killer, Matches Malone; Gordon goes to Edward Nygma with Kristen Kringle's whereabouts; Hugo Strange continues working to reduce the Penguin's aggression. Gordon and Bullock follow a trail of clues in a robbery, not knowing they were left by Nygma; Gordon receives an anonymous threat; Penguin meets his father; Bruce works on his street smarts. In an attempt to clear his name, Gordon steals his case file and approaches Nygma for help. Meanwhile, Penguin discovers his step-family's role in his father's death, and awakens from his conditioning. After leaving Arkham Asylum, Barbara attempts to make amends with Gordon. Then, Bruce and Alfred track down one of Thomas Wayne's former friends from Project Chimera, but Hugo Strange disrupts their plans. Gordon and Bruce question Professor Strange about project chimera which leads Strange to send the newly resurrected Galavan to confront Gordon. Meanwhile, Gordon investigate's who Professor Strange is. Azrael is on the loose in Gotham City, which sparks Penguin's need for revenge. Meanwhile, Bruce enlists the help of Selina Kyle to help track down Professor Strange, as he evades arrest for his experiments. 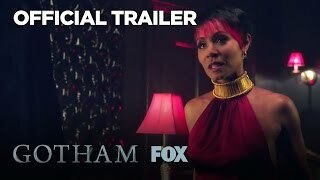 Hugo Strange welcomes a familiar face to Gotham after he resurrects Fish Mooney in Indian Hill. Later, Bruce discovers a friend is in danger and teams up with Gordon, Alfred and Lucius, while uncovering more of Strange's experiments. While Gordon, Bruce and Lucius remain at Indian Hill, the city of Gotham will be met with a new threat as Hugo Strange’s inmates devise a plan to escape and start their new lives in Gotham. Detective James Gordon performs his work in the dangerously corrupt city of Gotham, which consistently teeters between good and evil. Detectives Gordon and Bullock investigate a child trafficking ring preying on Gotham's street kids, including Selina Kyle. Meanwhile, Penguin resurfaces in the countryside and begins to make his way back to Gotham. Gordon and Bullock track down a vigilante who uses weather balloons to kill corrupt citizens; Cobblepot gets a job close to a major figure in the underworld. As a contentious city council vote on the future of the Arkham district approaches, politicians from both sides are in danger. Gordon and Bullock must race to protect the council and an old friend visits Gordon. Gordon and Bullock search for the source of a new street drug that causes euphoria then death. Oswald Cobblepot works his way deeper into Maroni's inner circle. Fish Mooney continues to plot against Falcone. When a killer begins targeting the first born of Gotham's elite, Bullock is forced to confront traumatic memories from a nearly identical case he worked in the past. Gordon is confronted by past decisions. Gordon and Bullock investigate a Gothamite who runs a deadly fight club for candidates applying to work at his financial firm. Bruce returns to school and gets a visit from a new friend. Trying to close the Wayne murder case, a young Harvey Dent and Gordon team up, much to Mayor James’ chagrin. Meanwhile, Penguin makes contact with Mooney’s secret weapon, Liza. Following a misstep, Gordon is reassigned to duty at Arkham Asylum. Meanwhile, Selina leads a new friend on a perilous journey through Gotham to evade the assassins after her. Gordon’s assignment at Arkham Asylum gets off to a rocky start when the murder of a guard ignites an investigation, leading him to meet Dr. Leslie Thompkins. Cobblepot continues to build his army. In an attempt to get his job back, Gordon seeks to capture Jack Gruber, a deranged electrical genius who escapes Arkham Asylum. Meanwhile, Falcone struggles to hold onto his empire after Fish Mooney makes her next move. When the key witness in a homicide ends up dead while being held for questioning by the police, Gordon suspects that it’s an inside job and looks to an old friend for information. Meanwhile, Oswald Cobblepot takes control of one of Fish Mooney’s prized possessions, as she gets a gets a small taste of her own medicine. Fish Mooney reveals a secret of Oswald Cobblepot's, prompting Maroni to take him on a trip to test his loyalty. Meanwhile, Gordon and Bullock hunt down a killer who targets victims with severe phobias and Bruce Wayne confronts Gordon for failing to make progress on his parents' murder case. Gordon and Bullock set out to stop Gerald Crane, a biology teacher who has been harvesting the glands of his murder victims. 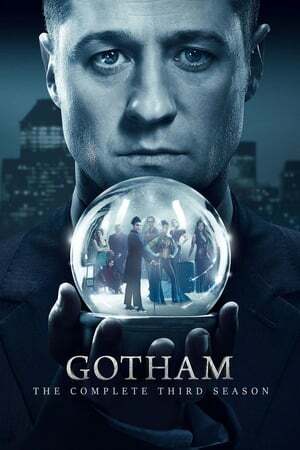 Meanwhile, after finding herself in an unusual setting, Mooney continues plotting to gain power, and Falcone attempts to change Maroni's plan for the Penguin. Gordon takes Dr. Leslie Thompkins to the circus, but the day turns quickly when the circus comes under attack. Then, Falcone enlists Butch Gilzean to help Penguin with the nightclub, while Fish Mooney is otherwise occupied. Also, Bruce Wayne schedules a meeting with the Wayne Enterprises board. Following several bank robberies, Gordon and Bullock investigate the Red Hood gang. Selina Kyle continues to bond with Barbara, and Fish Mooney tries to reclaim her position in the underworld. Gordon seeks information about the controversy involving Loeb; Fish's allegiance with the prisoners is questioned; and Bruce copes with the aftermath of an attack close to home. Gordon and Bullock inspect a cold case involving "the Ogre", a serial killer who targets young women in Gotham City. Meanwhile, Fish plots her escape from the Dollmaker, and Bruce and Selina confront Reggie. Gordon and Bullock continue their investigation of the Ogre, who begins to make his move on someone close to Gordon. Meanwhile, Bruce and Selina team up to expose a corrupt Wayne Enterprises employee and Nygma comes to Kristin Kringle’s defense. The Ogre breaks down Barbara’s emotions, while Gordon and Bullock go to great lengths to track him down. Meanwhile, Penguin leads a massacre, beginning an epic war, while Bruce learns the truth about Wayne Enterprises and Nygma deals with his recent actions. 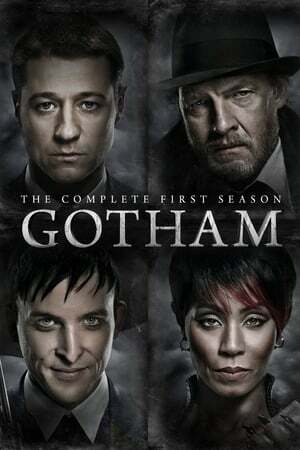 As Gotham City’s gang war reaches its boiling point, Fish Mooney goes head-to-head with Maroni and Penguin in an attempt to re-stake her claim on the city. Meanwhile, Barbara and Leslie Thompkins are brought together after recent events, and Bruce searches Wayne Manor for any hints that his father might have left behind. Go behind the scenes of the upcoming new FOX TV series "Gotham," from its comic book origins to the "cutting edge" production. Hear from all the key players both behind and in front of the camera.